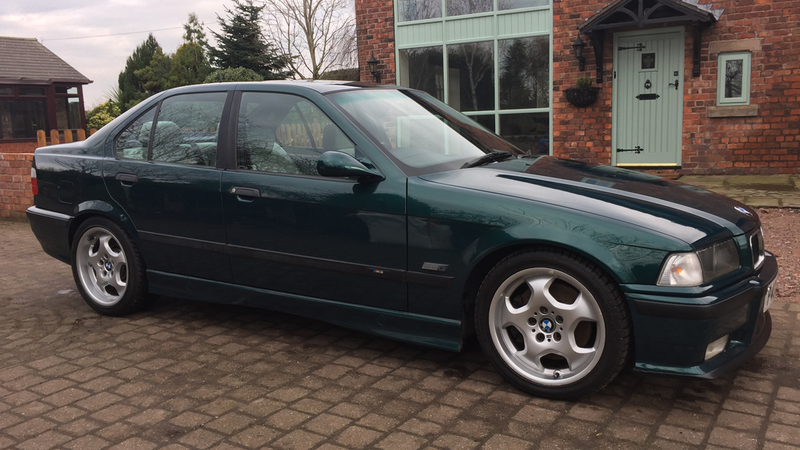 A BMW E36 M3 Evolution, with four doors and a manual, in a lovely shade of 1990s green is a wonderful car to buy. This BMW E36 M3 Evo, however, might not be the smartest purchase. You’d know it if you’d seen it on Top Gear. This was the car Richard Hammond got for the show’s cheap track car challenge across Germany. It went up against a Benz 190 Cosworth and a Sierra Cosworth. Hammond got mocked mercilessly for his car having been crashed and haphazardly repaired. I say it’s worth it for the paint alone, but I’m a moron so do what you will. Should The E36 Have Won The Jalopnik Beat-Off? It&apos;s The Jalopnik March Madness Beat-Off! The Mercedes W123 Wins The Jalopnik March Madness Beat-Off!